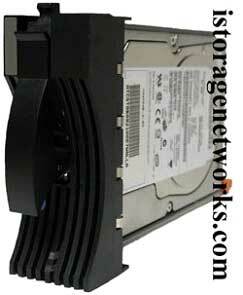 Standard Edition: Supports up to (2) EXP500 expansion enclosures (each with 10 drive bays) in addition to the (10) internal drive bays for an installation of (30) disk drives. 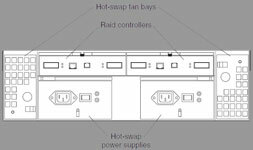 Alternatively, (2) EXP700 enclosures may be used each offering (14) drive bays for the installation of (38) drives. HA (High Availability) Edition: Has two (redundant) RAID controllers with transparent fail over support. The HA edition supports up to (66) disk modules when using the (10) internal drive bays and (4) fully populated EXP700 enclosures.) 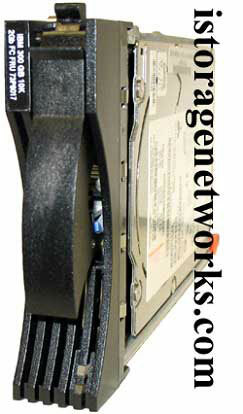 When using (5) EXP500 enclosures and the (10) internal drive bays, 60 drives can be installed. The FAStT200 and EXP500 expansion arrays support low profile and half-height disk modules. The EXP700 expansion array only supports low-profile disk modules.